Summary Report is an easy to understand six-page document showing basic measures from each task, with general explanations of the tasks. The Summary report can be ‘shared’ via a weblink or PDF in an email. Options for sharing can be chosen in Settings in Posture Scan. 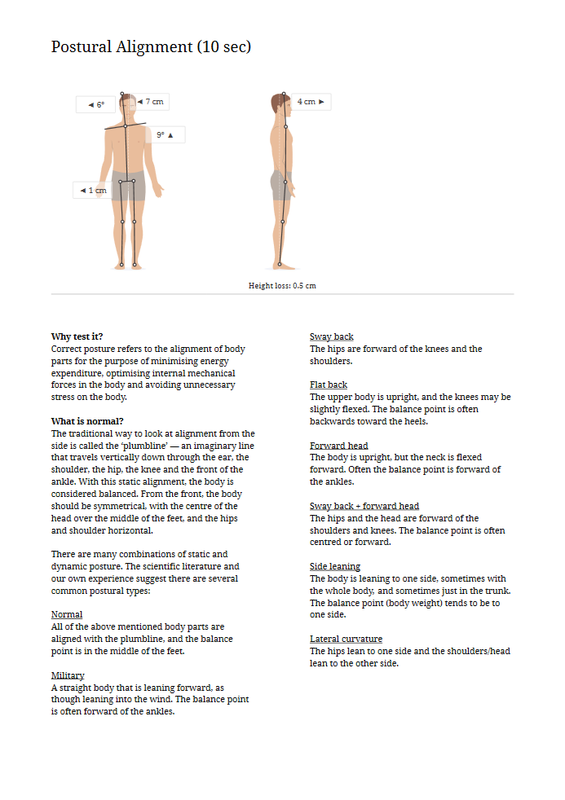 In Posture Scan the summary report would be shown after the scan. 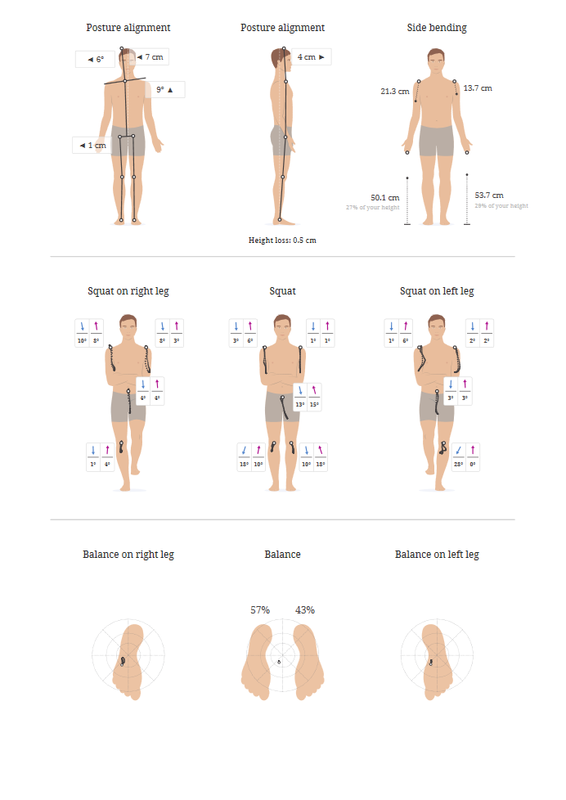 The availability on Posture Scan depends on enabling the feature within settings of Posture Scan and is available to everyone within the organisation. Note is accessible to all Health Providers and the Summary report can be accessed at their convience. Frontal, side and overhead views are used to postural alignment, balance and movement patterns. It is a quick and easy to understand snapshot of the performance.